There are loads of online pokies that feature an ancient Egyptian theme, and it’s quite possibly the most popular subject of the lot. 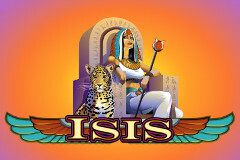 Isis, from Microgaming, is yet another example, and while it’s just as colourful and stylish as the others, it comes with some exceptionally rewarding features..
It’s got wild substitutions, scatter wins, a gamble game and a free spins round to help add interest to the run of play, while a wide bet range and the fact that it comes from a trusted developer should help to attract players looking for an easy to play and familiar-looking pokie. Isis was the Egyptian god of health and wisdom, and she’s now the star of her very own pokie that comes with 5 reels and 25 paylines. 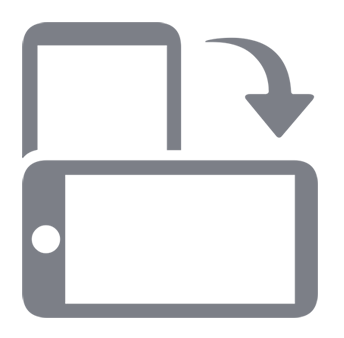 Players win whenever 3 or more of the same symbol come to a stop across any active payline, as long as the row starts from the reel on the left side. There’s lots of symbols that can land this way as well, with bright orange playing card icons like the 9, 10, J, Q, K and A, plus several that are bespoke to this game such as a sarcophagus, royal staff, winged gods, decorative flowers and the Eye of Horus that features in so many Egyptian-themed pokies. It’s all very well presented however, with bold colours and simple but effective graphics. Framing the reels is an ornately designed heading with gold highlights, while below them is the control panel that’s used to decide how much is staked per spin. Bet options run from just 0.01, which will activate a single payline, although to qualify for all winning combinations that land on the reels players will need something on each of the 25 lines for a minimum wager of 0.25. The amount staked on a line can then be increased to 0.50 per coin, and 10 coins can be placed on each for a maximum line bet of 5.00 and an overall maximum of 250.00. This gives Isis a good range of possible stakes that should suit just about every budget. Players will also want to know what they can expect to win, with a paytable listing each reward for each symbol as well as the additional treats in store when special symbols trigger the bonus features. The playing card symbols have the least value, with the ‘9’ being worth 2x the coin value per line should a row of 3 land in the right places, while rows of 4 or 5 will pay 10x and 50x respectively. Payouts increase the higher up the card values go, with the A being worth 10x, 30x or 500x for the same results. Picture symbols are more valuable, with the sarcophagus paying out between 15x and 1250x the coin value, while the highest paying one is the Eye of Horus that’s valued at 30x, 300x or 2000x when 3, 4 or 5 land across an active line. Top of the tree is rightly reserved for Isis herself, looking all regal as the wild symbol. In this role she can act as any other symbol apart from the scatter and therefore complete winning combinations if possible. As a nice little extra feature, she will double the value of those wins when doing so, while lines of Isis on her own are worth 10x if just 2 land on a line, right up to 10,000x for a full 5 across the reels. The other special symbol is the hawk scatter, which can appear anywhere on the reels to pay 2x, 4x, 20x or 600x the total bet amount when 2, 3, 4 or 5 appear. On top of this, if 3 scatters land, players then win 20 free spins, if 4 scatters appeared they get 25 spins and if 5 landed, then 30 free games will commence, and no matter how many are triggered, all winnings throughout them will be multiplied in value by an impressive 6 times. Up to 600,000 coins can be won during the free spins round, and 3 or more scatters retriggers them, with any new spins added to the end of any still left to play out. An optional gamble round that can be played after any winning spin except jackpots, gives players the chance to double or quadruple the amount just won by guessing if a playing card will be red or black, or a particular suit. Isis might not have the most up to date graphics, but it’s perfectly serviceable and comes with a very rewarding bonus game, nice wild multipliers and follows a popular theme. Add to that a huge range of potential bet sizes and Microgaming have come up with a pokie that’s pretty much guaranteed to be a hit.